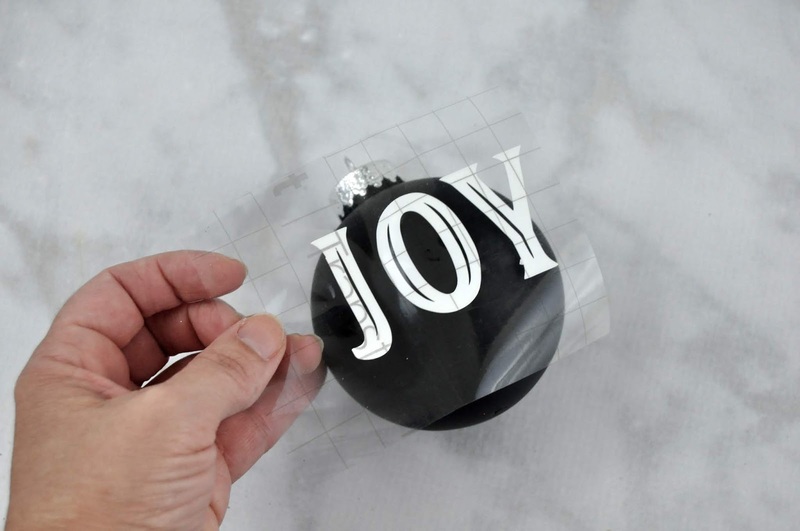 One way to quickly update and dress up holiday ornaments is with vinyl. 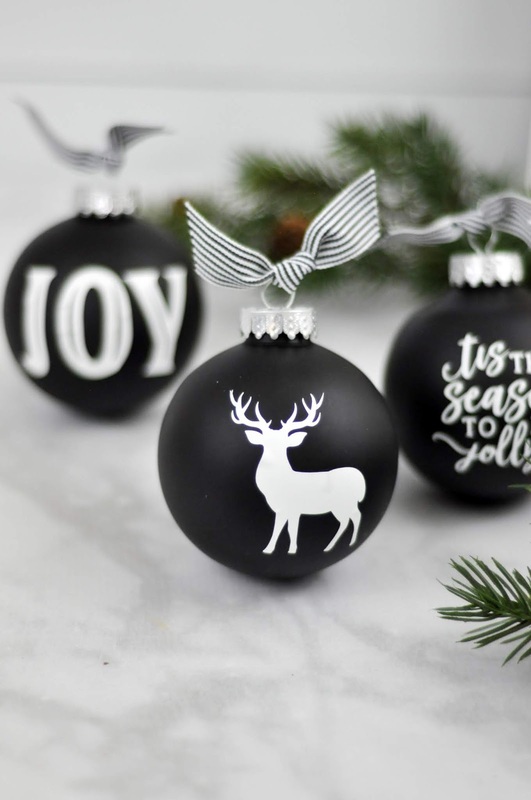 I found these black chalkboard ornaments at Michael's several years ago, but you could easily paint any ornament black or any color and then add vinyl. These would be great HERE. 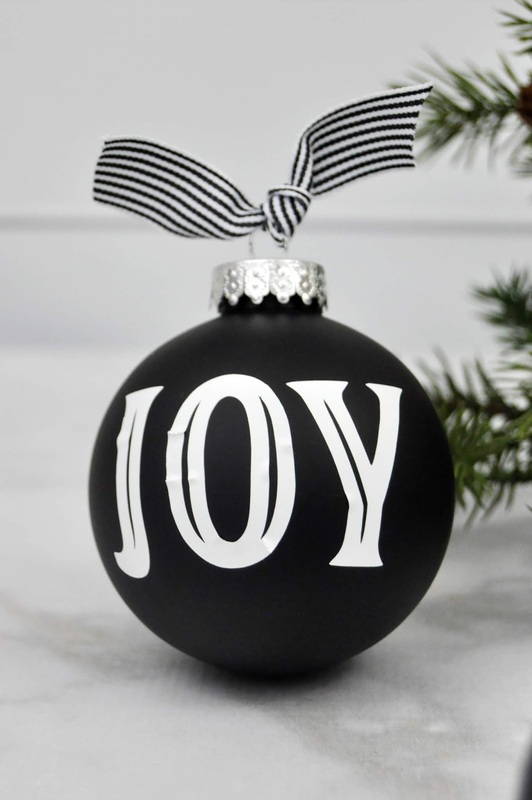 Keep reading for the step-by-step instructions on how to create this fun Christmas project. 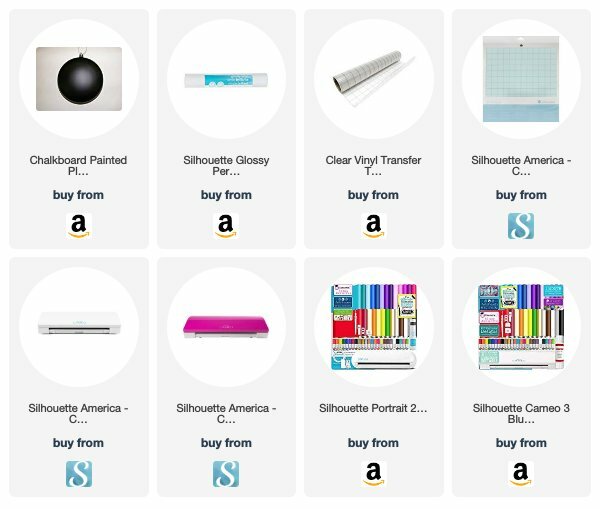 I've also included the supplies so you can make your own. 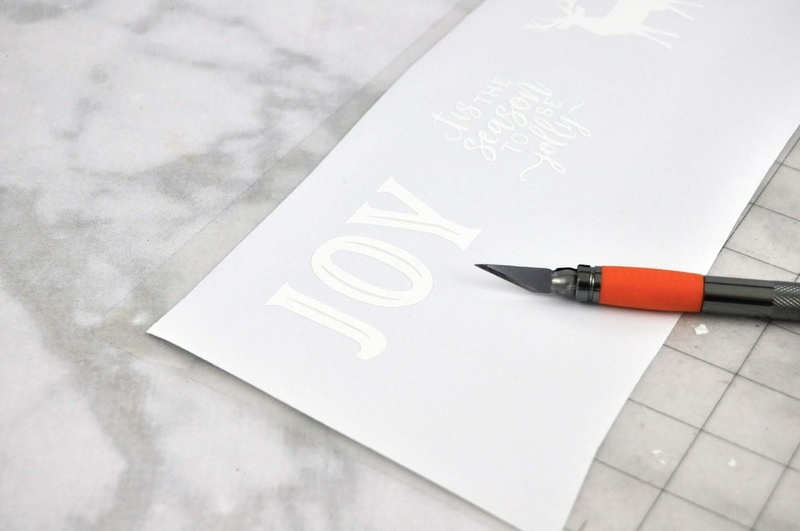 Pin the images in this tutorial for a Christmas crafternoon. 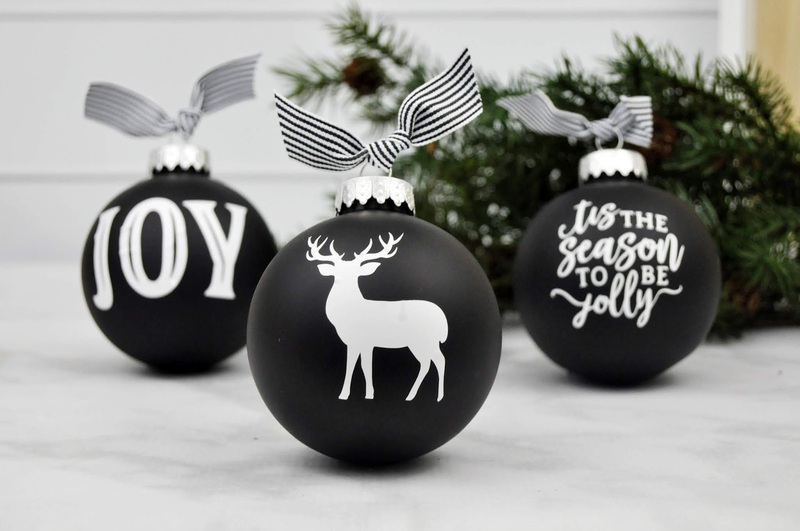 Step 1: Select some holiday shapes and phrases from the Silhouette online store. 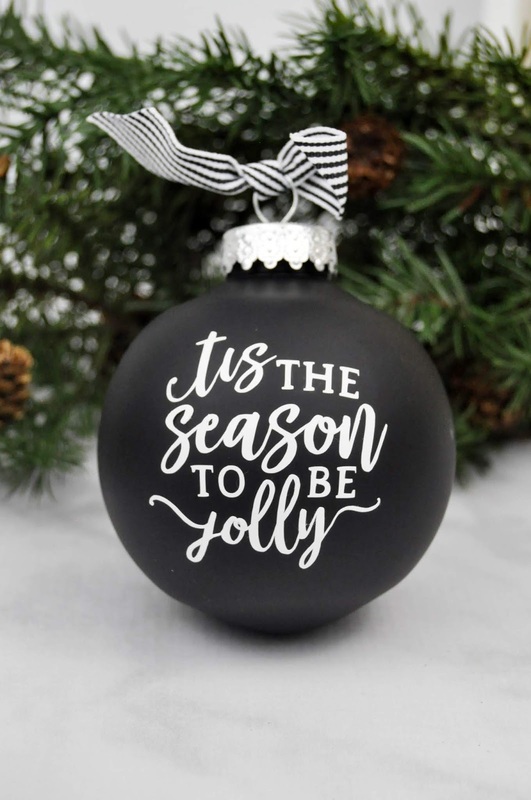 Then resize within the Silhouette software to fit the front of your ornaments. Cut out the shapes using the vinyl setting on your Silhouette machine. Then use a craft knife to weed out extra parts to each shape. Step 2: Place the transfer tape on top of the cut file while the vinyl is still on the backing. 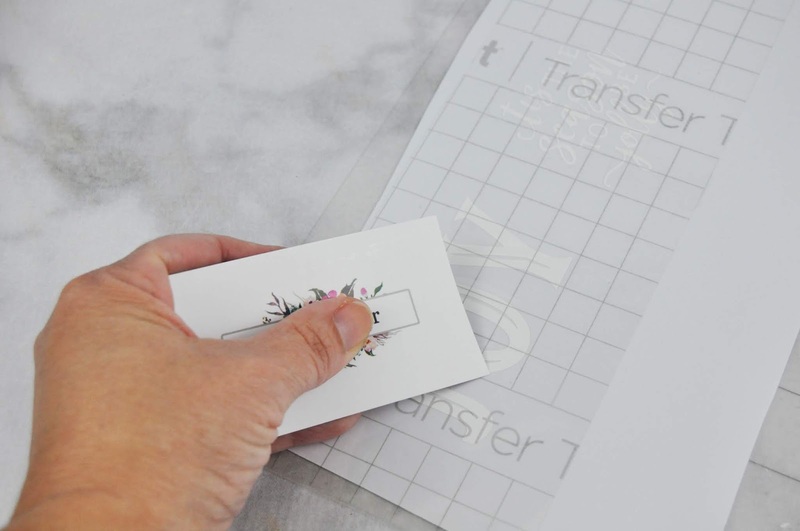 Use a stiff card or anything with a flat edge to rub the transfer tape into the vinyl. Step 3: Slowly peel up the vinyl. 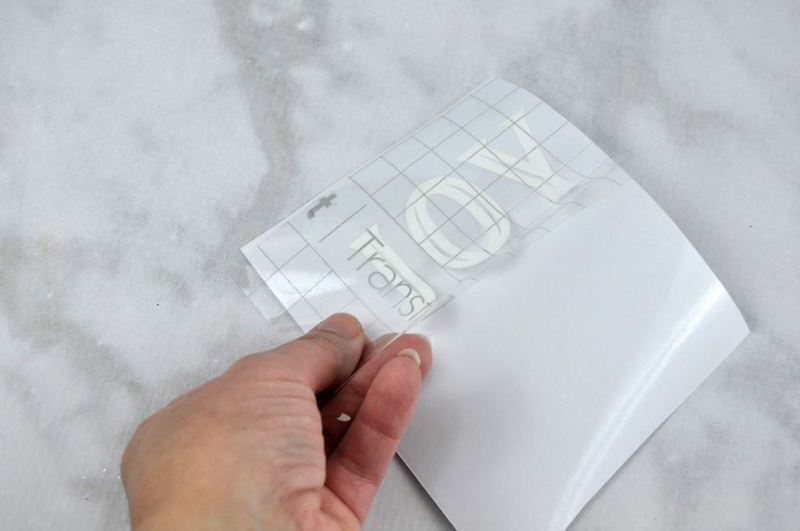 If the vinyl hasn't transferred completely to the tape, place the tape back down and continue rubbing the tape over the part of the shape that seems to be sticking. 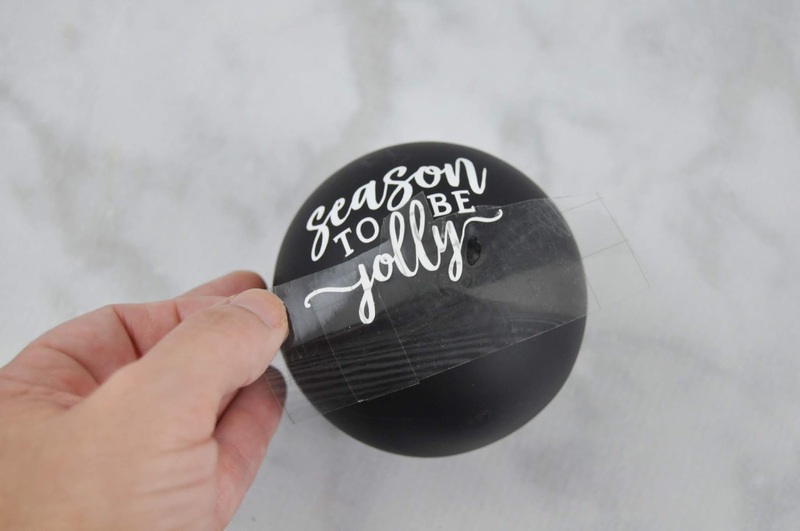 Step 4: When the entire shape has been transferred, place the transfer tape on the front of your ornament. Step 5: You can see that when trying to transfer this word "JOY" the that vinyl kept bubbling. This can happen when you don't rub smoothly across the tape as you transfer the design to your surface. Below I share a few steps you can take to help with this as well. 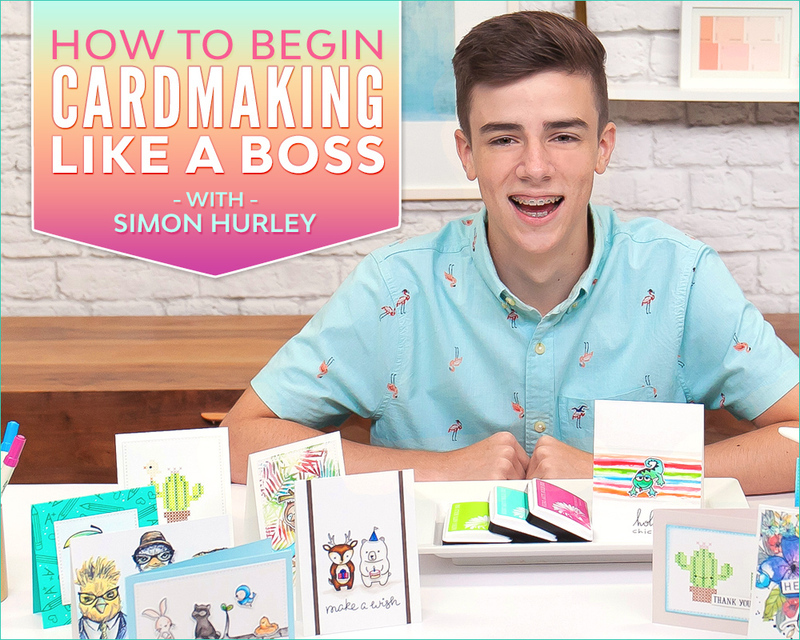 Step 1: If you are having trouble with a rounded surface, sometimes cutting up part of the design can help. Here I've cut out part of the design and transferred this first part to my ornament. 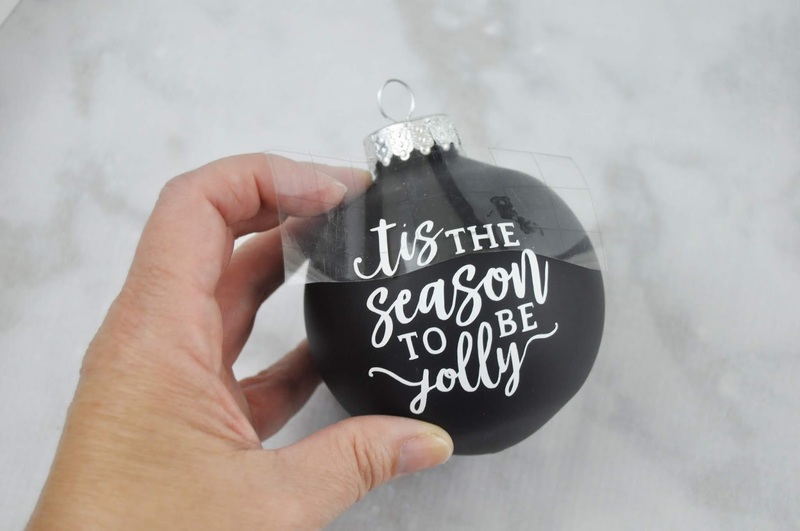 Step2: I then added a second part of the phrase, and transferred this by firmly and smoothly rubbing the design onto the ornament. Step 3: And finally I add the last part of the cut file. I have found that with rounded edges this helps the vinyl lay more flat when transferring the design. It's just one workaround for bubbling vinyl. I hope it helps! Here's a quick image for you to pin to your favorite Pinterest board. 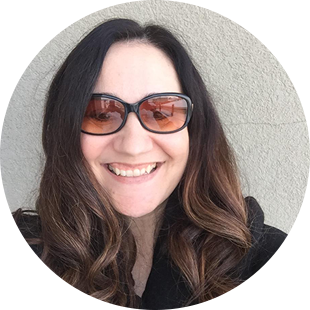 Be sure to pin additional images that help you remember, this fun and easy tutorial. 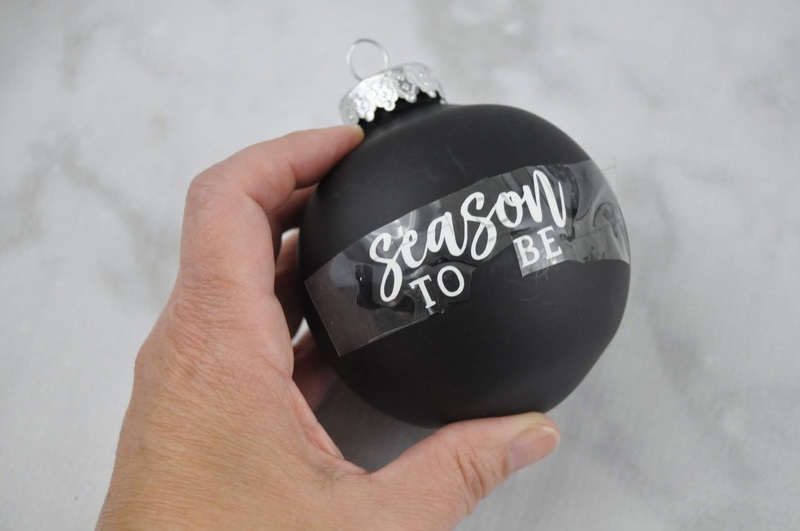 Look for additional holiday and Christmas crafts throughout my blog this season!